Panthers coach Anthony Griffin has named a huge squad for tomorrow night’s trial against Canterbury at Pepper Stadium. 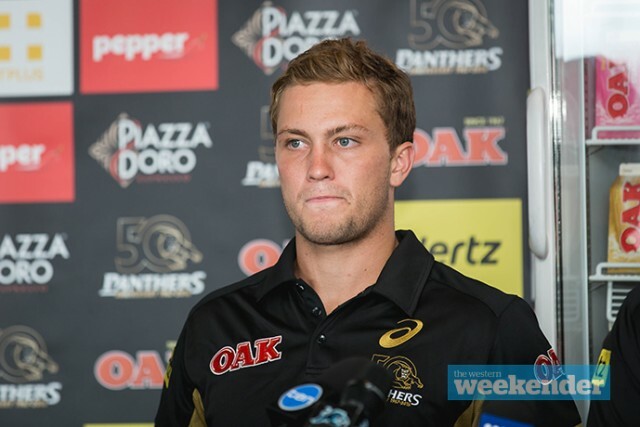 Matt Moylan has been named in the side and will captain Penrith for the first time while new star recruit Peta Hiku will make his Panthers debut. Gates open at 1.45pm tomorrow with Holden Cup and NSW Cup trials prior to the NRL trial at 6pm. The game is free for Panthers members, who can sit in their assigned seats for the season. The Bulldogs are yet to name their team for the game. Panthers squad for trial v Bulldogs: Matt Moylan (c), George Jennings, Peta Hiku, Waqa Blake, Josh Mansour, Will Smith, Peter Wallace, Sam McKendry, James Segeyaro, Jeremy Latimore, Bryce Cartwright, Elijah Taylor, Ben Garcia, Zach Dockar-Clay, Rob Jennings, James Fisher-Harris, Dallin Watene-Zelezniak, Dean Whare, Andrew Heffernan, Sitaleki Akauola, Nathan Cleary, Te Maire Martin, Suaia Matagi, Moses Leota, Chris Smith, Corey Harawira-Naera, Isaah Yeo, Viliame Kikau, Rodney Coates, Tupou Sopoaga, Wellington Albert, Sam Clune.